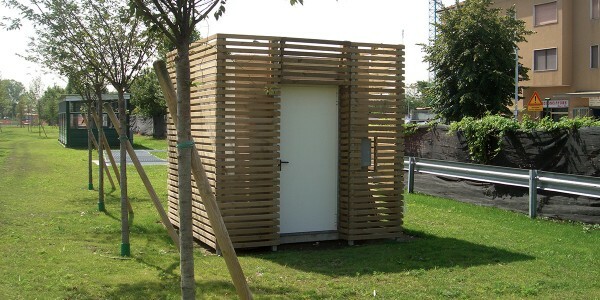 CITY toilets are prefabricated outdoor facilities designed in a simple box-like structure. CITY toilets are designed to be installed in public areas, camping areas, markets, parking lots, logistic areas and areas for the nomads. 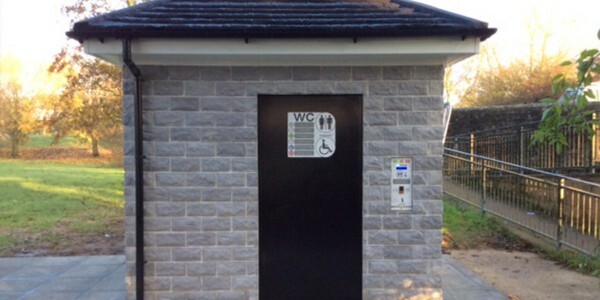 In vibrated reinforced cement, CITY prefabricated toilets are the basic solution among our wide range of products and can be requested in several versions: with one cubicle suitable for disabled persons, or with more cubicles that can be fitted as toilets, urinals, changing rooms, shower cubicles etc. SAM is a serie of automatic, prefabricated outdoor toilets, designed to be installed in urban contexts such as markets, parks, rest areas, parking lots, etc. SAM toilets can be requested in the standard version, equipped with one cubicle suitable for disabled persons, or with one or more cubicles that can be fitted as toilets, changing rooms, shower cubicles, storage rooms, urinals etc. SAM toilets are equipped with an integrated automation system that manages all the automatic components of the toilet (cash-box controlled door opening, user detecting system, automatic flush of toilet bowl etc. ).